It looks like Sony finally has their Spider-Man franchise back on track with 2017's Homecoming. The studio collaborated with Marvel Studios in re-establishing the character on the big screen, and it appears to be paying off. Yesterday, Sony and Marvel launched the first trailer for this upcoming reboot, and the Spider-Man: Homecoming sneak peek was a massive hit. So they've wasted no time in announcing that Spider-Man: Homecoming 2 is officially a go! 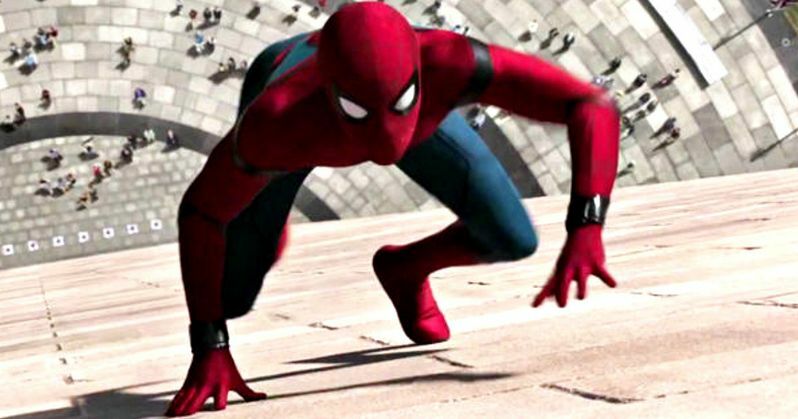 Staking the claim from their studio home in Culver City, Sony announced that the next chapter in the high school life of Peter Parker will arrive on Friday, July 5, 2019. At this time, the movie is simply being called Spider-Man: Homecoming 2. But that tentative title will be replaced sometime in the next two years. This move doesn't come with out a little bit of a shake-up, but perhaps it's for the best. Will Smith and Martin Lawrence were originally scheduled to return for Bad Boys 4, which would have opened over the Independence Day holiday in 2019. It was actually scheduled to open on Wednesday, July 3, 2019. It won't be delayed though. It is now set to open Memorial Day weekend 2019, arriving early on May 24. Now, these Bad Boys will be facing off against the hugely anticipated video game adaptation Minecraft, which is also opening on May 24. According to Deadline, that movie will mark the directorial debut if It's Always Sunny in Philadelphia creator and star Rob McElhenney. Right now, the only other movie opening in May 2019 is the fourth Avengers movie, which currently doesn't have a title but is a direct sequel to Avengers: Infinity War. And spoiler, apparently Spider-Man survives whatever cataclysmic thing happens in that Marvel Phase 3 ending epic. Right now, Spider-Man: Homecoming 2 will only have to face off against an untitled animated movie from Universal's Illumination Entertainment. Though no title has been revealed for this move, it is one of their franchise installments and will like be a sequel to a movie that everyone already knows and loves. Niether Bad Boys 3 nor Spider-Man: Homecoming have even come out yet, so it certainly seems premature to be talking about their sequels. The first Homecoming movie opens on July 7 of next year, and it looks like Sony and Marvel want to make this a summer tradition. Tom Holland is confirmed to return for the sequel, and is also contracted to appear in a third standalone movie. He will also be appearing in two more Marvel movies that have not been announced. Though it is believed Peter Parker will return in Avengers Infinity War. As for Bad Boys 3, it looks like it intends on keeping its already locked in release date of January 12, 2018. Will Smith earlier this week said shooting on the sequel will begin very soon, and that he is excited to reunite on screen with Martin Lawrence. No plot details have been revealed at this time.